The Galerie Montage is located on the main level of the Eclairant building. Double doors off the shared foyer lead into the spacious, private art gallery. The walls are clean white, and the hard wood floors are kept polished. The Galerie is composed of three large open rooms, two in the front, one in the back, all interconnected with open or arching doorways. Running lights race along the ceilings to illuminate the paintings or photographs that line the walls or the alcoves, or the art works that have their places on white tables, blocks or art stools. While The Galerie is often ecletic in its offerings, providing an outlet for both old and new talent, there are times when a specific theme will run. Such as when an artist or two team up to do a showing. 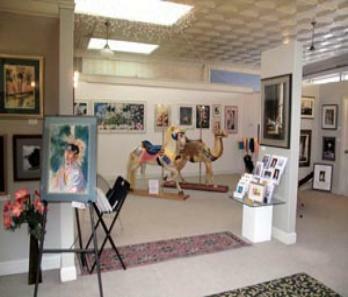 The Galerie has also been known to host art auctions and charity exhibits.